Denise Medrano is an American living in London. 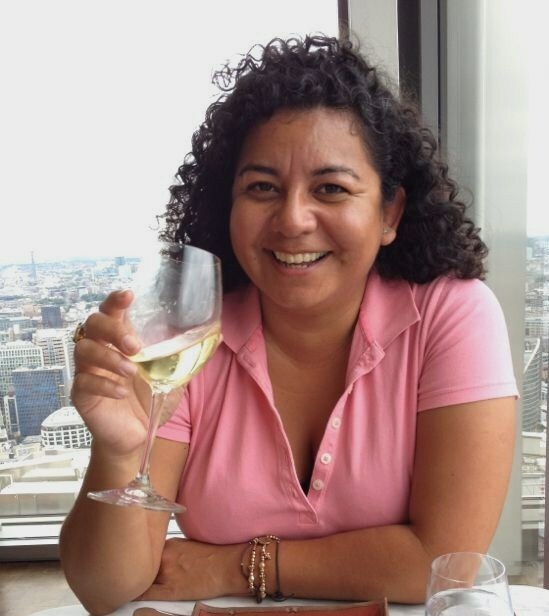 She has been in the London wine trade for over 9 years and began writing about wine after studying at a sommelier course in Buenos Aires, Argentina. After a year in Argentina, she landed back in the UK and immediately began working in wine retail. At that time, she also studied at the Wine and Spirit Educational Trust and obtained the Advanced Certificate. It was then that she realized that the world of wine in London was missing a blogging voice, one that talked about wine from an insider’s point of view. She decided to go beyond boring old wine reviews and discover the people and places behind the wine. The Winesleuth especially likes the wine regions of France but she’s not averse to visiting wine regions around the world. And, she never says no to a glass of champagne. I don’t have time to browse it all at the moment but I have saved it and also included your RSS feeds, so when I have time I will be back to read a great deal more, Please do keep up the superb work. You have a great blog here. I’d really like to request a wine review on behalf of a wine client of mine. I’ve emailed you with the details. Keep the great posts coming. Do you feature South African Wines? We have some really stunning International Award Winning wines but somehow these do not get the attention they deserve. Some of our lesser know boutique Wineries are also producing some really stunning wines. Hi, please drop me an email with more details and I will get back to you. thanks! I sincerely believe that my blog is offering something new and unique in the world of wine! If you would like to exchange links, please send me an email and I’ll get yours up on my blog roll right away. We met briefly at the Wine Bloggers Conference. I’ve just bee checking out your site. May I suggest that you enable an RSS feed on the blog, so that people may subscribe? I think you will find that you get more readers that way. If you are into the magazine, please share our efforts with your blog readers. Feel free to share the PDF link with anyone or even post it on your site. We are fully committed to being a resource to the blogosphere and doing our part to help develop it into the most relevant format it can be, and I am excited to meet you in person at the conference.